The Founding President of Believers' LoveWorld Incorporated, also known as "Christ Embassy", Rev. 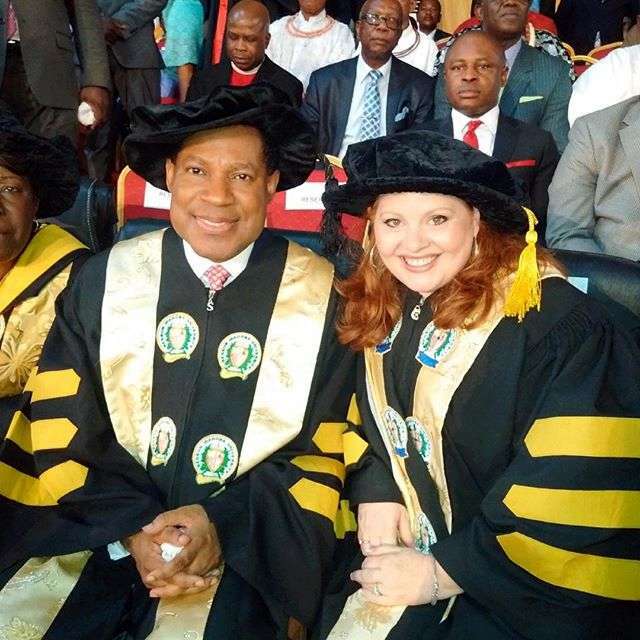 Dr. Chris Oyakhilome has pledged to donate 1 billion Naira to Benson Idahosa University to build the Faculty of Engineering! This announcement was made when Rev. 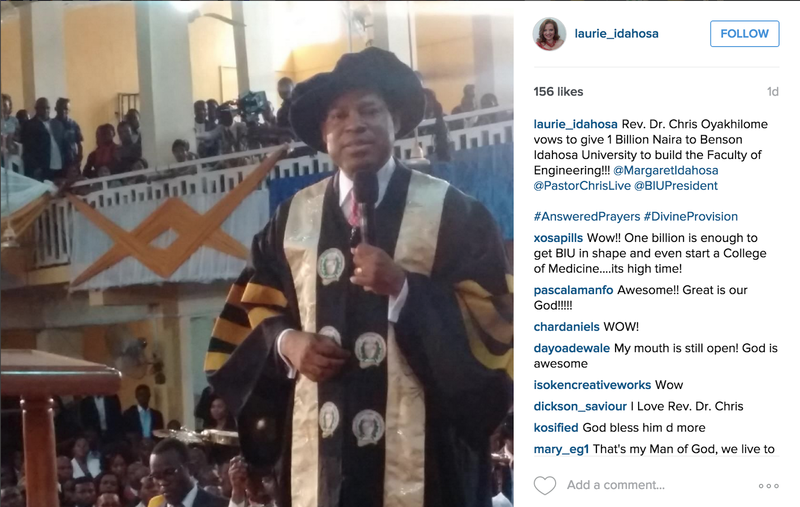 Oyakhilome was being conferred with a Honourary Doctorate Degree in Divinity on Friday, 23rd of October 2015. This was also posted on the Instagram page of Laurie Idahosa, wife to the first son of late archbishop Idahosa. “The Archbishop Benson Idahosa was one of the most remarkable and inspiring personalities of the 20th Century. It is a fact of life that those who did not have the privilege to meet him are blessed to meet him through many of us. “The impact of the archbishop on me as an individual is unquantifiable. Many time, people would ask me why I talk about the late Archbishop Benson Idahosa more than anybody. “It will surprise you to know that as a young man, I was working with the archbishop in the mail room in the Church of God Mission in Benin City. “I was blessed to have worked with the late Archbishop Benson Idahosa. While working with him, I had the blessing and benefit of seeing the archbishop pass by my table everyday to his office,” Oyakhilome said. He then called on well-meaning Nigerians who have the resources to support institutions of learning in the country as they are organizations committed to the development of the best potentials in Nigeria.